Carl Mitcham is Director of the Hennebach Program for the Humanities, supported by a major endowment from Ralph Hennebach (CSM class of 1941). The Hennebach program sponsors a regular series of Visiting Professors and promotes the general enhancement of the humanities on campus. Carl earned degrees from the University of Colorado (BA, MA) and Fordham University (PhD) and has held faculty appointments previously at Berea College (Kentucky), St. Catharine College (Kentucky), Brooklyn Polytechnic University, and Pennsylvania State University. He has also served in visiting positions at the Universidad de Puerto Rico, Mayagüez (1988), Universidad de Oviedo (1993), the Universities of Tilburg and Twente, Netherlands (1998), and as Fulbright Professor at the Universidad de País Vasco, Spain (2003-2004). Additionally, Mitcham is a Faculty Affiliate of the Center for Science and Technology Policy Research, University of Colorado, Boulder, and Adjunct Professor, European Graduate School, Saas Fee, Switzerland. Carl’s disciplinary background is in philosophy, with an emphasis in philosophy and ethics of science, technology, and engineering. 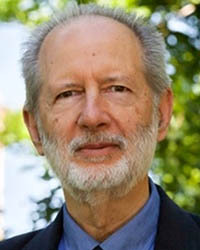 His scholarly publications, however, have been as much interdisciplinary as disciplinary, especially insofar as he has worked to bring philosophy of technology into the interdisciplinary field of Science, Technology, and Society (STS) studies. Carl currently teaches ENVS 5110 - Critical Introduction to Science, Technology, and Society Studies for the CU Graduate Certificate Program in Science and Technology Policy. Please visit Carl's homepage at Colorado School of Mines.